Streamer apotatomaybetwo has created a video explaining, point by point, how to play Overwatch if you only have access to a single hand. It’s educational. 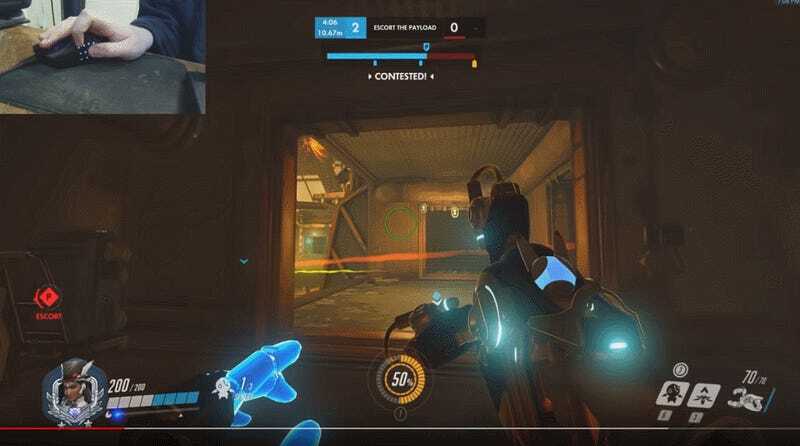 The video largely focuses on how to use either the Razer Naga Trinity or Logitech g600 mouse, both of which feature a large pad of buttons that are accessible via the thumb pad and make one-handed Overwatch play more possible for people without the use of both hands. Since one-handed play means that typical WASD+mouse movement and looking is quite difficult, apotatomaybetwo slowly walks through how a player can switch their keybinds and use their mouse to both look and move at the same time, using some of the buttons as a sort of joystick. Apotatomaybetwo works very slowly through how to play the game with one hand, and explains how the decisions making process in the game changes when doing one-handed play. It’s detailed and specific, and I learned a lot about the game in general by watching the video. A one-handed Play of the Game. Apotatomaybetwo plays the game with one hand due to pain in the other caused by a recurrent ganglion cyst, and so the one-handed play comes from a place of necessity. While things like the Microsoft Adaptive Controller are slowly making their way into the gaming consciousness, many players with disabilities have to either make do with consumer products or hack their own solutions to make games accessible. Sites like The Controller Project and the DIY posters on r/disabledgamers, as well as the initiatives spearheaded by AbleGamers, all work toward serving a population that is traditionally underserved by the designers of game hardware and software. 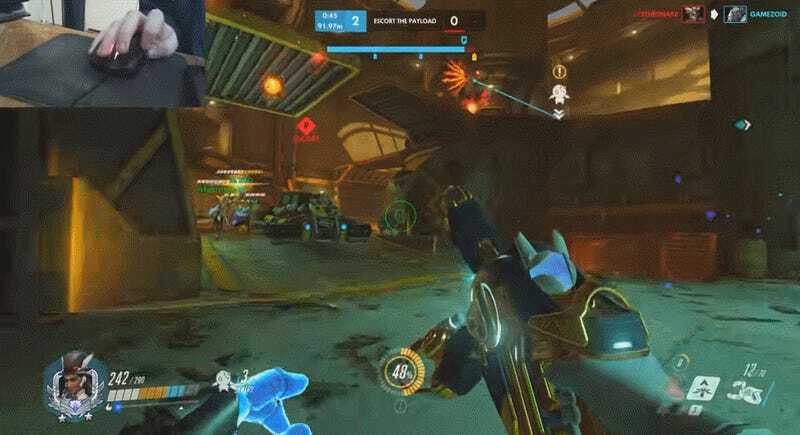 Apotatomaybetwo’s video is an excellent primer both for people who want to learn how to play with a single hand and for those who want to see the kinds of hoops that one-handed players go through to be competitive at contemporary first-person shooters. There’s also a great backlog of stream archives to check out.